For 8 seconds, every planet destroyed will drop all of their StarDust. For 10 seconds, every planet destroyed will drop all of their StarDust. For 10 seconds, every planet destroyed will drop all of their StarDust and get you a combo count.  For 12 seconds, every planet destroyed will drop all of their StarDust + gives combo and score. FIt will activate Combo Party for 12 seconds. Go on party boy! These sattelites drop 2 diamonds at once. These sattelites drop 4 diamonds at once. These sattelites drop 6 diamonds at once. These sattelites drop 8 diamonds at once. These sattelites drop 10 diamonds at once.  For 8 seconds, comet do not crash when colliding with a planet and bounce back. For 10 seconds, comet do not crash when colliding with a planet and bounce back. 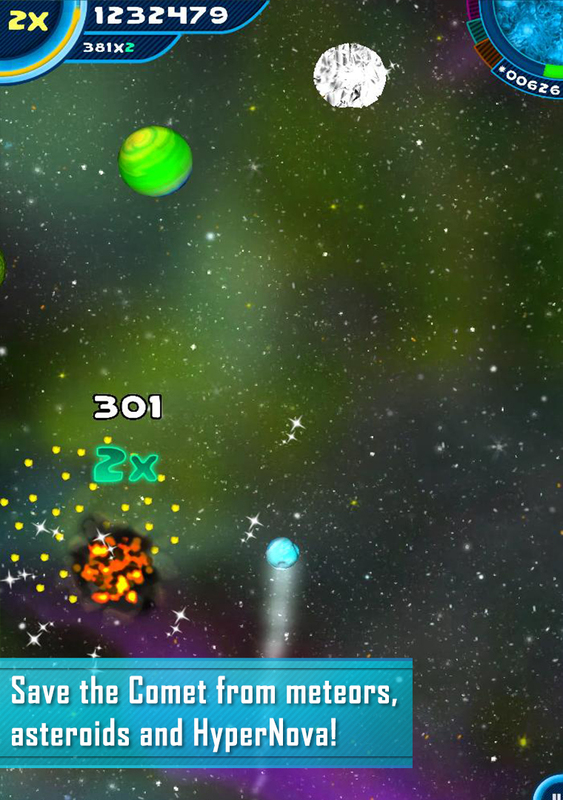 For 10 seconds, comet PENETRATES the planets destroying them. For 12 seconds, comet PENETRATES the planets destroying them. For 12 seconds, “Thick Glacier” gains extra 0.35 seconds for every planet destroyed. The planets which drop golden stardust starts to appear after Crimson Lands. The planets which drop turquois stardust starts to appear after Toxic Field. 25% StarDust of the distant planets are attracted by the comet for 8 seconds. 25% StarDust of the distant planets are attracted by the comet for 10 seconds. 50% StarDust of the distant planets are attracted by the comet for 10 seconds. 50% StarDust of the distant planets are attracted by the comet for 12 seconds. 75% of the StarDust + %50 chance of combo from the effected planets for 12 seconds. These planets belong to Toxic Area!  cause your Combo to be reset. These are the main resources of this universe. Want to buy upgrades? Then you will need Stardust. You can collect Stardust by getting close to planets. They are also stuck in the corrupted planets which you need to destroy. They can be seen anywhere across the universe. They will be helpful for increasing your combo and giving you small amount of points and stardust. As it is obvious from the name they will give you much more points and Stardust compared to Generic Planets. You can see those glittering planets across the galaxy. They have 3 types as being "white", "golden" and "turquoise", which can be made visible with upgrades. The least valuable one is "White" while the most valuable is "turquois". Cracked planets! When in sight, destroy them by throwing them to other planets. 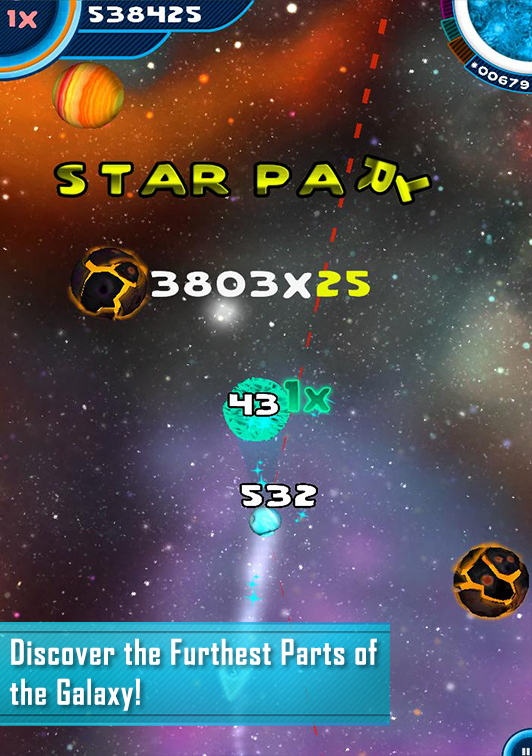 Cleansing the galaxy from these planets will get you much more points and Stardust. You will never imagine how these little pieces or rock will disturb you. They are really dangerous. Beware! I mean if you want to save the comet you will need a little bit of caution. These are even smaller than meteors. However, they are scattered to the galaxy in colonies. You need to scramble if you want to get rid of them. They are not deadly, however if you hit them, your Combo will be reset which is very disturbing. Hypernova is kind of a supernova normally. However, they explode with much more greater energy and generate gamma rays. 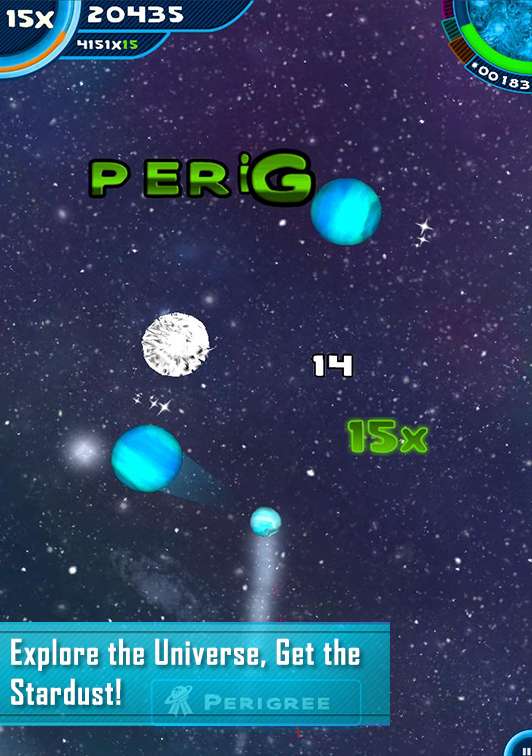 You will see this gamma ray in the game which will destroy everything in its way. 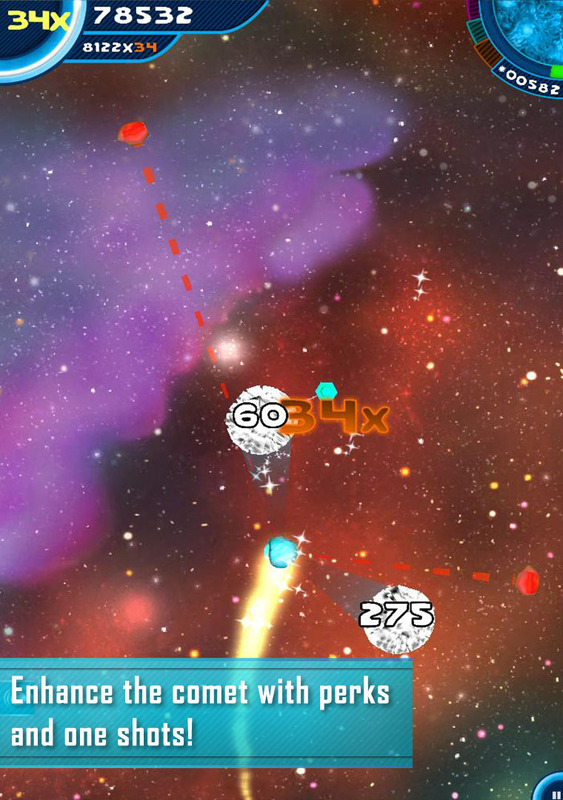 You need planets to change your way while escaping from Hypernova. Well this is where your journey will take place. You will face with 4 parts of the galaxy during your journey. Wanna discover them? So release your chains, explore the universe and save the comet! 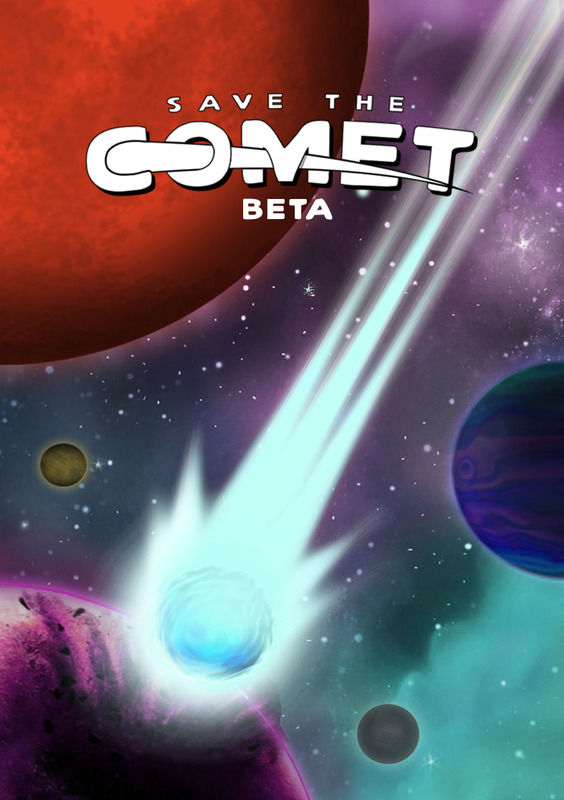 Unlike the other infinite games, Comet has an End to reach. End of the Universe, a total mystery! "Unique controls, innovative implementation of an old format…"
"An excellent game that is a lot of fun on smartphones and tablets alike..."
"All in all, it's an impressive game. 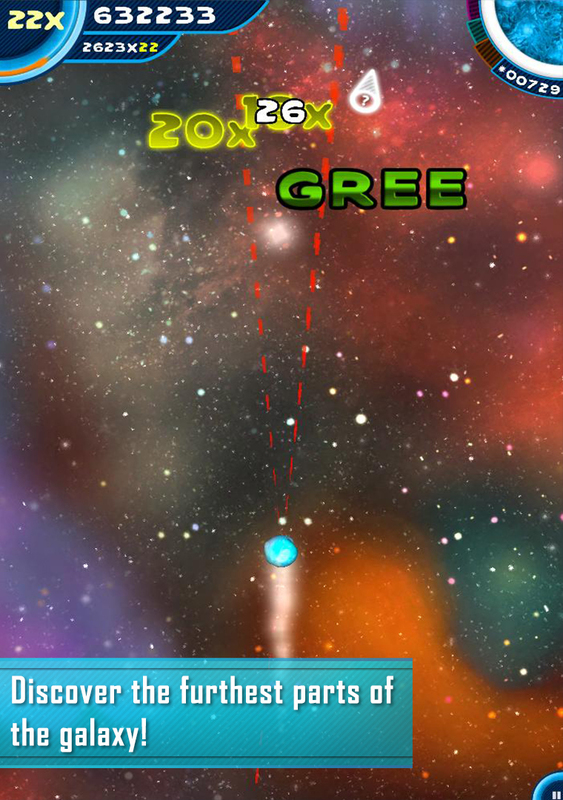 Very addictive once the meteorites, diamond planets and power-ups come into play." "...very different from what we see on Play Store. Personally I will return on... when I have time." "Let me say that people are in for a challenging fun game that will provide hours of entertainment."